? 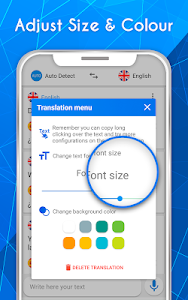 Translate in voice - Language Translator ?
? 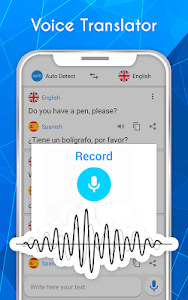 Awesome voice translator, speech and translate all languages of the world.
? 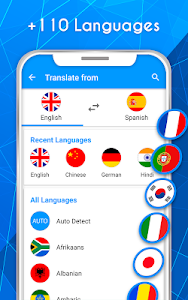 You can hold a conversation in any language , with the help of voice translator, translating different texts and use the button to talk application.
? Learn languages quickly and easily, speaks your language to translate from written or spoken in the language of your choice , more than 80 languages in text as Spanish English, French, German Italian, Korean, Chinese, Japanese, and 44 languages spoken as those mentioned above and many others like Arabic, Danish, Dutch, Portuguese, Russian, Finnish, Indonesian, Turkish and Vietnamese.
? 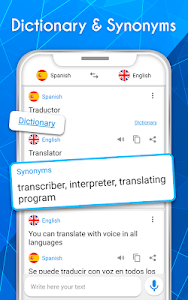 Also corrects spelling, word suggestion, preserves the history with your latest translations, share texts directly to IM , social networking, mail, search engine, notes and other applications you have installed. 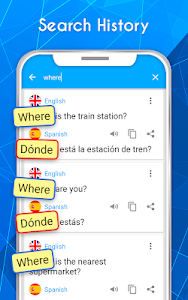 - Translates more than 80 languages. 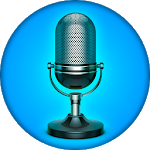 - Share text directly to other applications.
? Translate in voice - Language Translator may contain advertising. 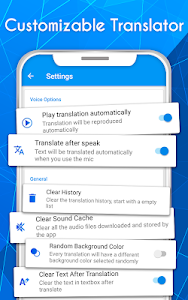 Similar to "Translate voice - Translator"